On Sunday it was the Bupa Great Birmingham Run. One of the guys I work with, Adam, was running so I decided to make some cupcakes to raise some money for the charity he was running for – Birmingham Children’s Hospital. 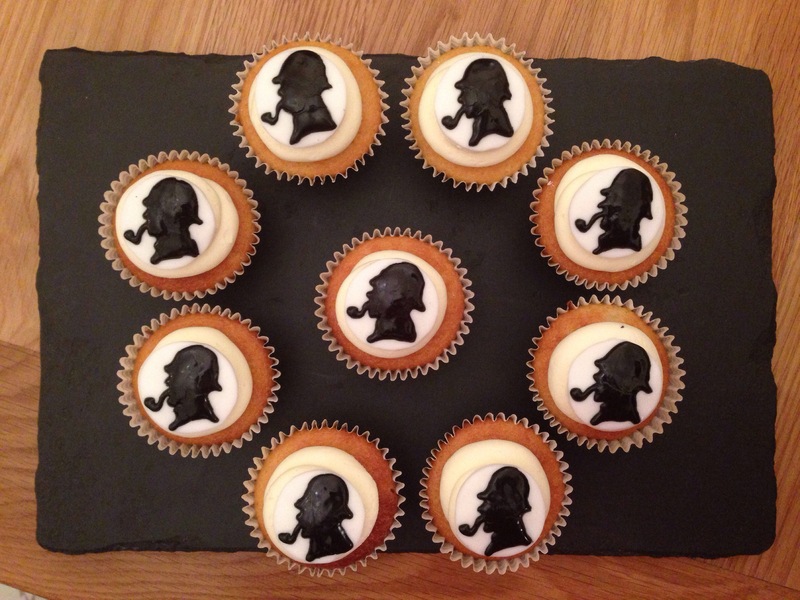 I was going to make some running themed cupcakes but his nickname in the office is “Sherlock” (because he looks a bit like Benedict Cumberbatch), so I decided to make some Sherlock Holmes cupcakes. Click here to keep reading. 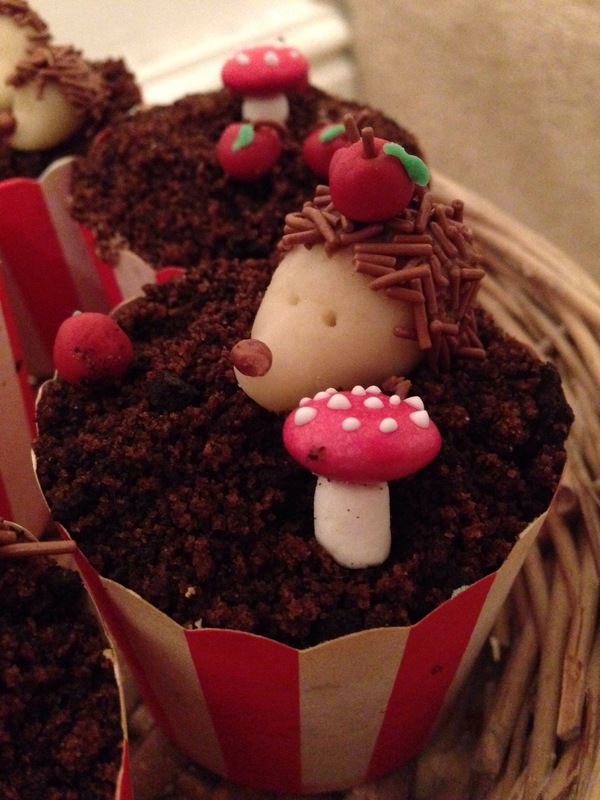 A few weeks ago I wanted to make some cupcakes to take over to my friend Jen’s for her mini “hen weekend”. They needed to be suitable girly but I didn’t have a huge amount of time to make and decorate them. 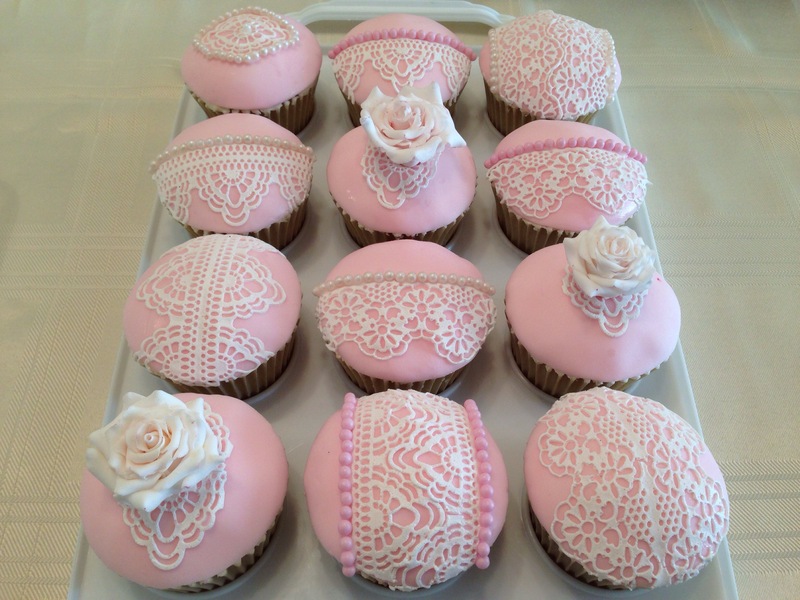 So I decided to make these – inspired by some my sister made for a hen do! Click here to keep reading. I’m always looking for new ways to decorate cupcakes, and when I came across a photo of these, I decided they were too cute not to make. I was looking for something autumnal and had done various searches on the internet before I discovered them. Finding the ingredients to make them was the trickiest part – I think I had to empty 12 tubes of Smarties before I found enough red ones to make the toadstools and even then I didn’t have enough to make one to go on each cake as planned but I decided that if I went back to the Co-op to buy a third lot of Smarties they might start to ask questions so I left it! Click here if you want to make a family of hedgehogs.